Darling Downs Optometrist can help you select the right contact lenses for your lifestyle and eyesight needs. Contact lenses can correct farsightedness, short sightedness, astigmatism and graduated/bifocal corrections. If you’ve never worn contact lenses before, we offer a personalised contact lens consultation to teach you how to correctly insert and remove your contact lenses, and how to take care of your contact lenses. 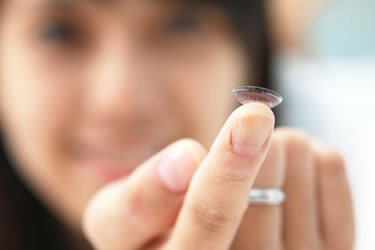 We recommend you have a contact lens fitting every year to review your lenses and lifestyle needs. We also stock a range of contact lenses in-store, from daily, two weekly, monthly or extended wear. Book a contact lens consultation at our optometry practice in Toowoomba – call 07 4638 8828.